Colourways provides a range of specialised features to ensure inclusion of all needs within care units: providing comfort and safety for all clients. As standard, all of our curtains are made from Fire Retardant fabrics. Velcro tab top curtains are a popular option to ensure that the curtain releases easily from the pole, leaving the pole and wall intact therefore reducing maintenance cost. This is particularly practical in units with challenging behaviour. 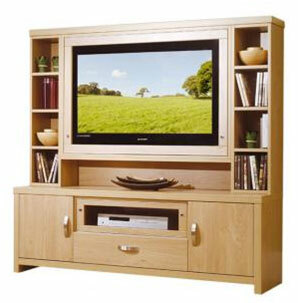 Strengthened furniture is generally fitted with security screw fixings and door openings. This means that there is no stress point where leverage will break them. We are happy to provide wardrobes with an additional rail to cater for wheel chair users, enabling them to reach their clothing. 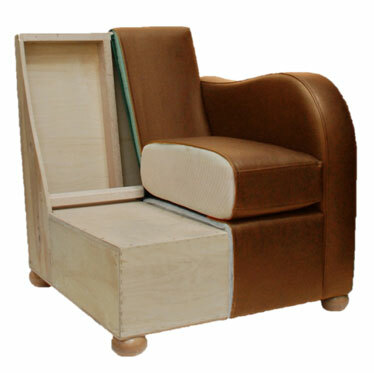 There is often a need to board sofas with ply board and this is very affective in prolonging the life of sofas and chairs. All sofas are made to crib 5 and can be fitted with fixed waterproof or removable washable covers. Very occasionally we are asked to produce sofas and chairs that can be inspected underneath for sharps or other substances, for this end we have developed a sofa with Perspex fixed to the base. Sofas can be built with ground clearance so that a hoist can be used under them: please speak to Colourways for expert advice. Dining room tables are often not the correct height to accommodate wheel chairs. At Colourways we believe that dining is a very social occasion and it is important that everyone feels comfortable and included, so we offer a range of solutions. We are able, on request, to make tables with a section cut out so that wheel chairs can fit under the table. Alternatively we can provide height adjustable tables, which can be set up accordingly. We also offer dining chairs with skis on so that clients can be assisted up to the table, as the skis run across the floor. Colourways offers a range of secure cabinets; these not only provide safety for clients but also protect TV sets, computers and other belongings in challenging units. They have lockable, quality, polycarbonate screens which offer strength and safety, whilst creating a contemporary, homely atmosphere. Our mirrors can be made of polycarbonate so that they are resistant to breaking and shattering, They will withstand severe treatment without producing sharps. 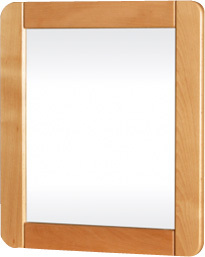 Strengthened mirrors are generally framed in wood with rounded corners’ Also higher the picture of the mirror.